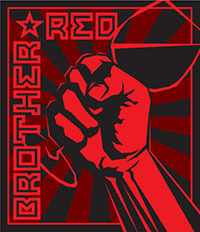 Brother Red is no typical Oregon wine. 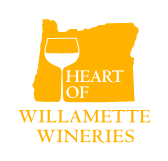 Inky and purple, this bottling offers up big, ripe, brambly fruit aromas, hints of toasty oak, and racy overtones of smoke, pepper, and rocky earth. The palate of the wine is rich and mouth-coating, dominated by sweet blackcurrant and blackberry flavors. Floral, perfumy, and minty accents evoke famous Rhone wines and add complexity and character. Moderate tannins and balanced acidity are will integrated into the intense, fruit-driven finish. Pair with steak, lasagna, or falafel.